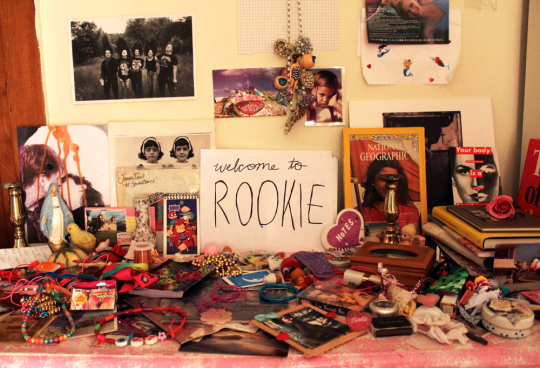 As a former Sassy reader during my apparently very formative years, I’ve got a bit of a soft spot for Tavi Gevinson and continue to be impressed by the quality of her new Sassy-esque blog, Rookie. Gevinson’s new venture has pretty much stunned all around, and the content far outstrips that of most-to-all female-centric, fashion-y blogs I’ve seen in all my years following this sort of thing. The girl is a genius, and rightly lauded for her fashion prescience and sharp wit. Which is why it’s kind of douchey that an older, male fashion blogger fairly baselessly attacked her when talking about his own site and its successes. Interestingly, Tavi added this post today over at Rookie on bully boys, which was timed quite luckily after Schuman’s shallow critique.